The key to Donald Trump’s success in 2016 is rooted in the unequal distribution of racial and ethnic groups across the Electoral College system. Despite inheriting a roaring economy from President Barack Obama, President Donald Trump has been underwater in national job approval polls since he took office on Jan. 20, 2017. Across 80 years of polling, presidents have averaged approval ratings of 53 percent, ranging from a high of 74 percent for John F. Kennedy in November 1962 to a low of 35 percent for Trump in December 2017. In the days leading up to the 2018 midterm elections, Trump’s approval rating rose slightly to 40 percent. Still, a commanding 54 percent of those polled said they disapproved of Trump’s performance. His low approval ratings contributed to the resurgence of the Democratic Party in the House, where they picked up at least 33 seats and regained control of the chamber. Record turnout and pointed campaigning in battleground states also helped Democrats pick up Senate seats in Arizona and Nevada, which would have been enough to take control of that chamber if all the party’s incumbents there had held on to their seats. Instead, the chambers swung in opposite directions, with Republicans building on their majority in the Senate. They have already secured a 51-seat majority in the upper chamber and look likely to add two seats ― Florida and Mississippi ― by the time the dust settles. If the GOP’s success in the senatorial elections is a sign of anything, it is this: Regardless of what the country thinks of Trump or whom the majority of the country votes for, the current president maintains a very good chance of winning a second election in 2020. The key to Trump’s success is rooted in the unequal distribution of racial and ethnic groups across the Electoral College system. This arrangement allows him to target favorable demographic windows that lean hard to the right and exploit them to his party’s advantage. This is how he won in 2016. And this is how his party beat incumbent Democratic senators in Indiana, Missouri and North Dakota in the midterm elections this year. And if he wins again in 2020, this demographic advantage will lie at the center of his success. As I argued here last month, migration of minorities out of rural states has demographically structured the United States such that the Electoral College favors not only rural states, as it was designed to do, but also conservative white voters who reside in greater numbers in rural regions of the country. As a result, instead of balancing power across rural and urban states, the Electoral College creates opportunities for ultraconservative factions to enter the national stage. People who support the Electoral College typically argue that the system was designed to provide rural regions of the country with equal representation. While this is at least partly true, it is important to keep in mind that when the Electoral College was devised, the only people who could vote were white males. And although white women gained the right to vote in 1920, minorities in the U.S. didn’t gain full citizenship until the Voting Rights Act was passed in 1965. By that time, demographically, the U.S. was a very different place from in 1787, when the founders drafted the Constitution. Since Aug. 1, 2018, Trump has held 33 campaign-style rallies, targeting states with rural, white populations and higher than average approval ratings for the president. Early statesmen never could have envisioned the degree to which the Industrial Revolution would affect the distribution of residents across rural and urban settings. According to the Census Bureau, in 1800, 94 percent of the country lived in a rural setting. By 1900, that number dropped to 60 percent. Today, over 80 percent of U.S. residents live in an urban setting. While people from all racial and ethnic backgrounds left the countryside in search of opportunities from 1800 to 2018, as a percentage of their population, minorities left at much higher rates than whites. The unequal migration of people out of rural America helps us make sense of Trump’s victory in 2016 as well as Republicans’ ability to retain the Senate in 2018, despite their significant loss in the national popular vote for the House. As Graph 1 illustrates, in states where at least 50 percent of the population lives in a rural setting, 81 percent of residents are white, which is 19 percentage points higher than the national average (62 percent) reported in the 2016 American Community Survey. The number of white residents drops to 57 percent in urban states. This trend is inverse to the ratio between electoral votes and population. That is, rural states average one electoral vote for every 393,393 people. In contrast, predominantly urban states average one electoral vote for every 590,081 residents. In practical terms, individuals living in whiter, rural states have 50 percent more representation in presidential elections than people living in urban states. The bars show the percentage of white voters in rural, semirural and urban states. The line represents the average number of voters represented by each electoral vote. *The white population depicts individuals who identified as non-Hispanic white in the 2016 American Community Survey; data via FactFinder.Census.gov. As Graph 2 shows, representation in the Senate is even more skewed. In urban states, there is one senator for every 5,225,465 residents, compared with one senator for every 1,184,428 residents in rural states. As a consequence, people living in rural (whiter) states have 341 percent more representation in the Senate than people living in urban states. This arrangement wouldn’t be so pernicious if racial and ethnic minorities voted consistently across party lines, but that’s not the case. All minority groups — without exception — vote predominantly for Democratic candidates in major elections. In fact, in the 2018 midterm elections, ethnic and racial minorities favored Democrats by an average margin of nearly 60 percentage points. Put simply, no factor in American politics predicts voter outcomes across party lines better than race. And this is particularly true in rural America, where white voters show a strong preference for Trump and his party. Thus, while the Electoral College may have been designed to equalize representation across rural and urban states, as it currently exists, the system systematically favors white voters living in sparsely populated areas of the country. And nobody seems to understand this better than Trump, who, since Aug. 1, 2018, has held 33 campaign-style rallies across the United States. He has used his rallies to target states with rural, white populations and higher than average approval ratings for the president. While 62 percent of the nation identifies as white, the states he has targeted in recent rallies average 72 percent white. And while his approval ratings hover around 40 percent nationally, in rally states, his ratings average 50 percent. Obama is often cited as evidence of a colorblind electoral system. And while he was the first black president of the United States, it is important to keep in mind that he is a quintessential outlier. He won the presidency twice, and in each election he pulled enough votes in key electoral states to gather more than the needed 270 electoral votes. Still, he was a once-in-a-generation candidate. He is a gifted speaker, compassionate father and expert statesman and is extremely talented at navigating highly contentious political matters with grace. While Obama’s presidency clearly represents a breakthrough moment in the long road to racial equality, it’s simply misleading to imply that his election is evidence of a colorblind society. To be fair, Obama’s success demonstrates that race isn’t an absolute barrier to the Oval Office. However, as Trump clearly shows, in the right election cycle, it can be. The 2016 election is a great case in point. Obama’s victories in 2008 and 2012 distract from the fact that American presidential elections are predominately decided by swing voters in a handful of states where, in most election years, a large majority of residents are white. In 2016, for example, three states decided the election: Michigan, Wisconsin and Pennsylvania. According to the Census Bureau, 76 percent of the population in Michigan is white, 82 percent in Wisconsin and 78 percent in Pennsylvania. 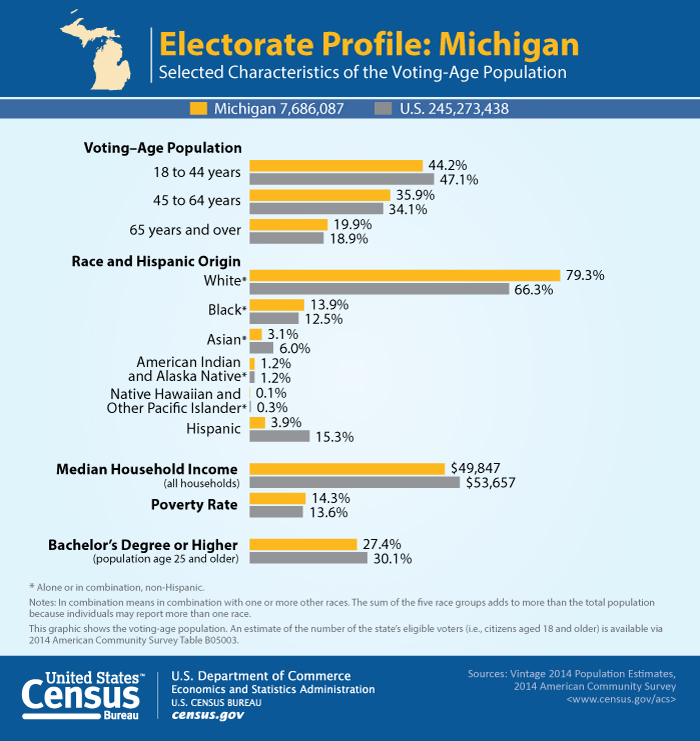 These numbers grow when we look at voting-age populations. Whites account for 79 percent of the voting-age population in Michigan, 86 percent in Wisconsin and 81 percent in Pennsylvania. Sen.Claire McCaskill of Missouri was one of at least three Democratic incumbents who lost in states that are whiter than the national population. Obama won each of these states in 2008 and 2012, but his success was largely the result of record turnout among young voters and his ability to pull moderates to his side of the aisle. But more important, he had favorable Electoral College windows. That is, the combination of states that ultimately decided the election did not work against him. In 2008, the closest states were Indiana (80 percent white), Ohio (80 percent), North Carolina (64 percent) and Florida (56 percent). Across these four states, 73 electoral votes were in play. In 2012 the closest races were in Ohio (80 percent white), Virginia (63 percent) and Florida (56 percent). Together, these states have 60 electoral votes. Combined, the demographic makeup of each of these groupings was more in line with the country’s national population. However, in 2016 that changed when Michigan, Wisconsin and Pennsylvania emerged as the most important states in the election. This combination placed the fate of the presidential election in the hands of three states with higher than average populations of white voters, and in doing so, it created the perfect demographic window for Trump. A recent study on white swing voters in the 2016 election found that “white voters with racially conservative or anti-immigrant attitudes switched votes to Trump at a higher rate than those with more liberal views on these issues.” Other authors have come to similar conclusions, finding that racial resentment played a clear role in Trump’s success in 2016. And all available evidence points to a similar advantage in the 2018 midterms. Trump’s party flipped three states in the Senate: Indiana, Missouri and North Dakota. Not surprisingly, as Graph 3 shows, the president’s approval ratings as of October 2018 were higher than average in these states. In Missouri, where 78 percent of residents are white, 52 percent of voters approved of Trump’s performance. In Indiana, which is 80 percent white, 52 percent of voters approved of the president, and in North Dakota, which is 86 percent white, Trump registered an approval rating of 55 percent. The bars show the white population percentage in Missouri, Indiana and North Dakota. The line shows Trump's approval rating in each state, all above the national average. After the 2016 election, it seemed likely that Trump’s demographic window might close if minorities and young people went to the polls in higher numbers. In the midterms, both groups voted in record numbers, contributing to Democratic flipping of Republican-held seats in Arizona and Nevada. Nonetheless, Republicans were able to retain control of the Senate by flipping seats in whiter states. That’s the power of the Electoral College. We live in a nation that is deeply affected by racial inequalities, and we elect presidents and senators in a system that favors a handful of states where white, conservative voters make up the clear majority of eligible voters. This explains how openly racist candidates with “alt-right” tendencies like Trump have been elected in recent years. And barring no major changes to the electoral landscape, it explains why more leaders of this nature may be elected in the future. Although diversity is on the rise across the U.S., including in rural areas, minority populations tend to be much younger than the majority group. In 2015 the median age for minorities in the U.S. was 31, whereas for whites, it was 43. In the 2016 election, the median age of voters was 47.5. And Trump cleaned house with voters in the 45 and older group, where he held an 8 percentage point advantage over Hillary Clinton. She maintained a 14 point advantage with 18-to-44-year-olds. So what made the difference in 2016? Young people and young people of color in particular didn’t turn out to vote at the same rates as white voters. Graph 4 illustrates voter turnout from 1980 to 2016 by age group. Graph 5 shows voter turnout across racial and ethnic groups. Non-Hispanic whites go to the polls at much higher rates than other racial and ethnic groups. Black, non-Hispanic voters also turn out at high rates, but their rate fell sharply, from 66.6 to 59.6 percent in 2016, whereas white rates rose, from 64.1 to 65.3 percent. Hispanic and other ethnic groups have consistently voted at substantially lower rates. In the long run, as larger minority populations in rural states reach voting age, representation through the Electoral College may begin to reflect the nation’s actual demographics again. However, in the short run, we are trapped in an electoral system that devalues minority voices. We are hardly doomed. A new era of American politics is in on the horizon. The real question is how much damage the Electoral College does to American democracy in the meantime. In 2016, Trump slipped through the perfect demographic window, and in 2018 his party used the same advantage to improve its majority in the Senate. It’s entirely possible that the window will close by 2020, but given demographic trends, that seems unlikely.